Fort Pierce, FL, February 10, 2018 --(PR.com)-- Claudette Betty, RN of Fort Pierce, Florida has been honored as an Outstanding Author by P.O.W.E.R. (Professional Organization of Women of Excellence Recognized) for her outstanding contributions and achievements in the fields of publishing and healthcare. 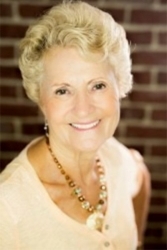 Claudette Betty is the Founder and Sole Practitioner of Source Healing, which provides holistic healthcare services nationally. She is a Reiki Master, Shaman Practitioner, Addiction Counselor and Certified Holistic Practitioner providing source healing, Reiki treatments, addiction treatment, holistic healthcare, coping skills and assists clients with overcoming fears. She specializes in anxiety, depression, PTSD and grief. Claudette utilizes her extensive knowledge and skills as a Registered Nurse, Addiction Counselor, and Holistic Practitioner to guide her in the healing of her clients. Her Reiki and Shaman knowledge and skills affect her ability to balance and release emotional, mental and physical blockages within one’s body. She uses her own therapeutic healing experiences to help others uncover core issues preventing physical and mental wellness. Guided by her creator, Claudette wrote her book titled “Creating a Wholesome Human Being” in which she shares her journey from a traumatized child to a transformed woman. Claudette spent 25 years in therapy to heal from the abusive behaviors of several alcoholic and drug-addicted family members and losing her father and two brothers to suicide. Through therapeutic interventions, Reiki energy medicine, and Shamanic healing, she was able to establish coping skills to assist her in moving beyond her pain to find healing and peace. She began writing this book at 68 years old after she realized how the healthy changes she had made in her life brought healing to her body, mind, and spirit. She wanted to share the traumas she experienced in her life and the methods she used to become her authentic self in hopes that others who face similar challenges may also overcome them. Claudette has also written an article for Healthy Living Magazine titled “The Healing Journey of a Traumatized Child” and writes Blogs for her website. After obtaining a R.N. Diploma from St. Marie’s Hospital, Claudette obtained a B.G.S. in Addiction from the University of Connecticut. She is also an Internationally Certified Alcohol and Drug Counselor. For further information, contact www.claudettebetty.com.